Oh Alexa, when we first met I was confused why I’d bought you into my life and then I thought I couldn’t live without you and all your neat tricks, but now we aren’t even on speaking terms. The above accurately describes my experiences with the Amazon Echo Dot in a concise paragraph. 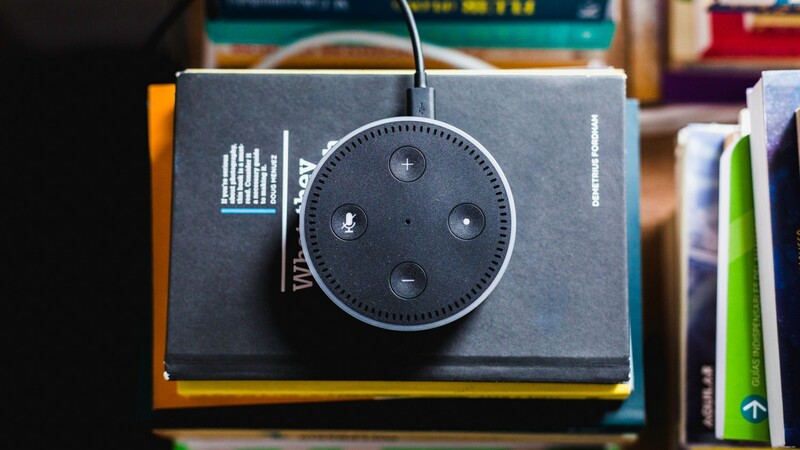 You see I was an early adopter to the whole smart speaker and voice controlled assistant thing, I’d been experimenting with a number of services on my phone before Alexa made her debut and was intrigued to see how these services could develop. I actually purchased the 1st gen echo dot (which I still have to this day) on a whim from a recommendation of a close friend and even when it arrived, I was still confused as to why I needed it. The story goes that I didn’t even open my dot until weeks after purchase, but when I did open it and got past the gimmicks, I found myself completely infatuated by it’s charms. I started to find it a foreign concept to not be talking to Alexa when I was out in public and asking for the time, who starred in what film, why trees are green or to set reminders, it was a funny old time. Like any loving relationship, we had our honeymoon period and a stable best part of 1.5 years, but then things started to get a bit weird. The random outbursts of answering questions no one asked, giving bios on the random tv shows I’d watch and even that creepy ‘I’m going to kill you in your sleep human’ laugh were as you can expect, giving me cause for concern. It’s around this time that I started seeing stories pop up on sites like the Verge and Techcrunch from people with similar experiences, plus the whole Facebook/Cambridge analytica bomb just went off, which made data privacy the front and centre hottest topic on earth. This all started to get me thinking, what is this device really up to when I’m not interacting with it? can I trust this thing isn’t listening and recording everything I say? and why does it have that creepy laugh! This rough patch continued on for a few months and I finally decided to approach the dreaded, we need to talk conversation with Alexa. The behavior was getting more weird by the day, random outbursts were increasing and I was honestly becoming paranoid that all of my conversations (especially the private/intimate ones) were being recorded and amassed in some hidden digital file of me inc. So the time came and I made the heart wrenching decision to pull the plug, yes that’s right, I turned Alexa off . No more timers to cook my rice now, how will I live dammit! As I write this, it’s now been 6 weeks since I powered down my Echo Dot. My whole decision to disconnect from this little device has been around my privacy and not trusting that this piece of genius actually has my best interests when it comes to monitoring the conversations taking place across my home. Now many people will say that having a phone beside me is no different for levels of privacy and in many ways I do agree, but I find something about smart speakers a bit more suspicious and intrusive as of late. You’re probably wondering has switching off Alexa made any difference in my life and behaviors? the answer is yes and no. I don’t miss it really, I miss the convenience yes but the functionality I can acquire from elsewhere like my analog watch or iPhone calendar. My focus from this tale is really do we have privacy anymore? I’m a tech-savvy individual who loves to embrace new advancements, but I’m also conscious on the impact and insight they have into our privacy. It’s not a new topic and I’m sure it’s one that will be hot on the lips of society for many more years to come. So I end as I began — Alexa, can I trust you? If you enjoyed reading this, click the 👏 below and share it with others so they can enjoy it too.